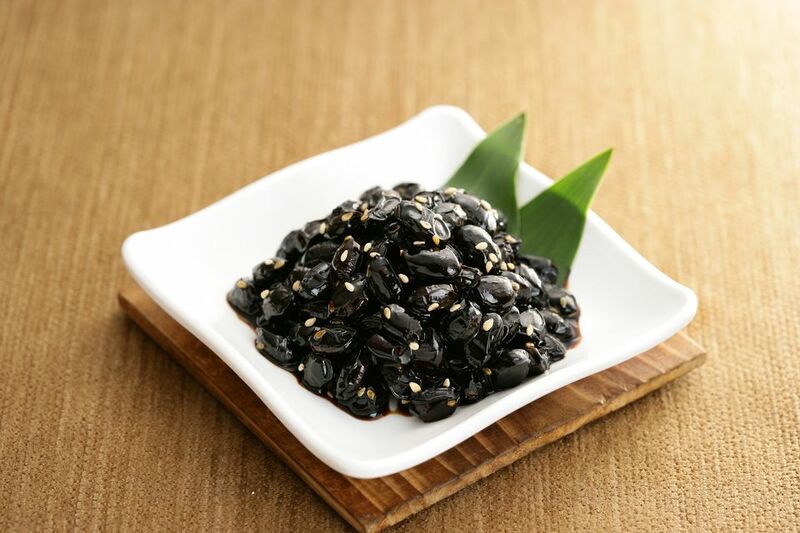 A sweet and nutty side dish, these seasoned black beans are a protein-filled complement to any Korean meal. In a small pot, bring water and beans to a boil and cook for 15 minutes. Turn down heat to medium-low and add soy sauce, sugar, and sesame oil. Stir to combine and continue to cook for 10 to 15 minutes. If adding seeds, take​ the pot off of heat and stir in sesame seeds.